Extra tall with curved metal insert and dual straps for superior comfort and support. 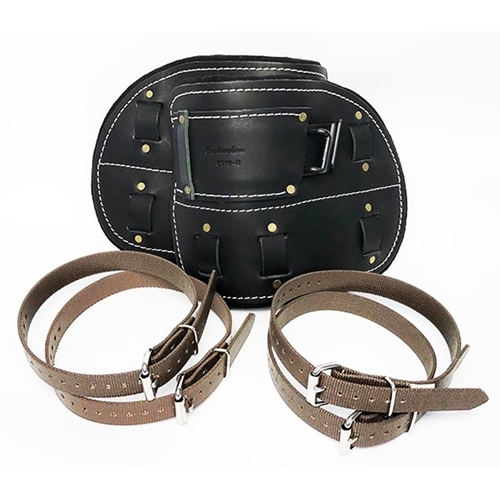 Sturdy stitched and riveted leather construction with heavy felt padding. Steel insert conforms to your leg and supports the climber shank. Comes with two pairs of #2639 26” straps. Size: 9" tall x 13" wide. Buckingham Dual-Strap Climber Pads With Metal Insert has a rating of 5 stars based on 4 reviews.